What the hell? 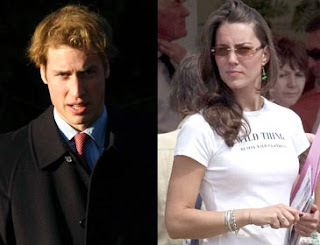 It seems that Prince William has a lady, and that lady could one day be the Queen of England. By the way, that second article has really poor photos of our gal Kate, she looks to be far more attractive normally as the above pics suggest. Anyway, I guess I’m happy for the Brits. If indeed they want a new glamour Princess I say it’s high time they had one, we’ve all healed and such.